After three years of official campus organization status, several years in development and countless dancers who have filtered through the team, the OFFICIAL Dance Crew finally got the recognition it deserves. 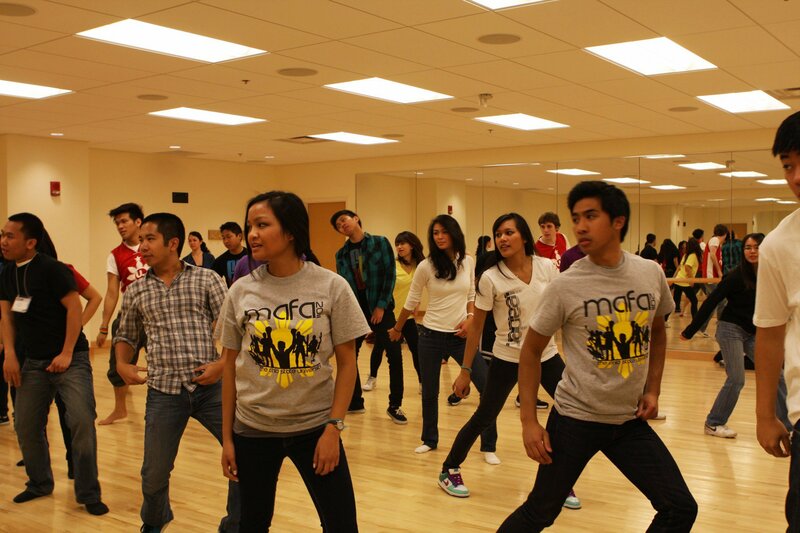 This year’s MAASU, Midwest Asian-American Student Union, awarded the group of 12 student dancers with a first place trophy. Here’s a rendition of their performance, this one at the Asian American Association variety show just a couple weeks later. She’s a powerful advocate for equality in multicultural issues, based in Washington D.C. She’s empowering. She’s self-motivated. She’s a Filipino-American woman. 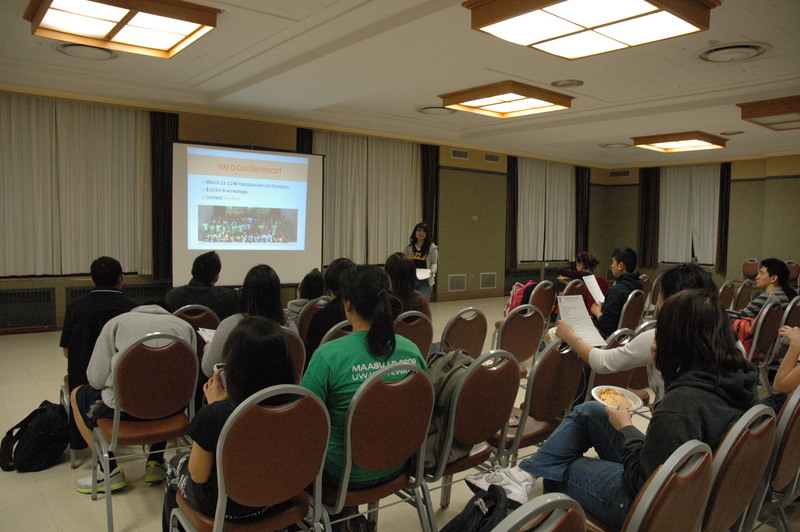 As a part of AAA Month, four weeks of events dedicated to Asian-American Awareness sponsored by MU’s Asian American Association, Vida Benavides visited MU campus on Friday, April 15, to reach out to the Asians and Asian-American students and share her stories of advocacy. 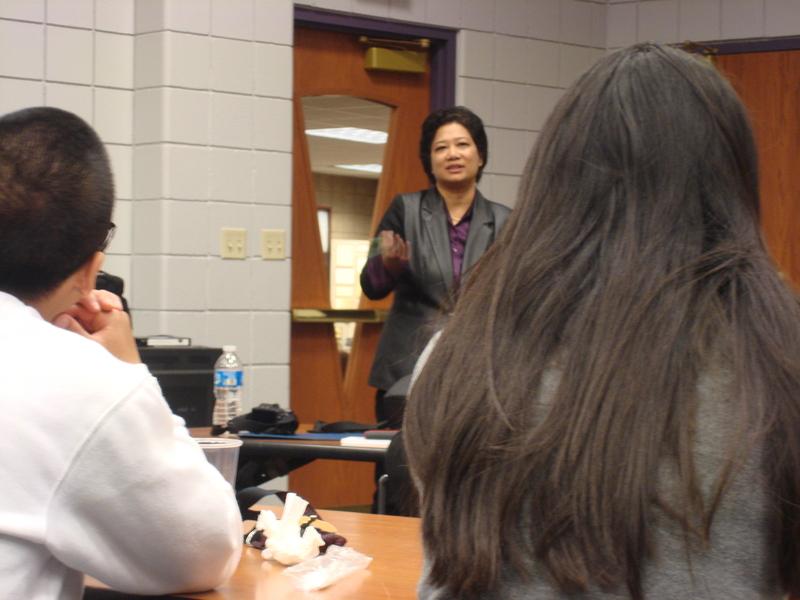 Vida Benavides shared her numerous stories of success to a crowd of Asian-American students at the Black Cultural Center on MU campus. She currently works as the Multicultural Advocate at Capitol Hill. The Japanese Student Association, along with volunteers, tabled outside of Memorial Union this week to raise awareness and collect donations to benefit Japan’s disaster relief efforts. They sold “Support Japan” T-shirts and cookies, donned in the attire and cheerfully exclaiming the cause to the bustling student body. It was a beautiful day outside, so it seemed like crowds were stopping to take a look at their stand – larger crowds than would stop if it were a more dreary day. Their message: 10,066 people are dead, 17,452 are still missing and 320,000 people have been evacuated. Please help Japanese people whose homes were destroyed, whose children are starving and whose parents are missing.” It’s a chilling and needy statement that Mizzou students are trying to help – from so far away. He taught for hours, dictating each and every movement, how much and what kind of feeling to emanate through each one. His expertise and talent were not hidden during his lessons, but his level of fame and success was not an expression he demonstrated from the front of the mirror-filled room. Brian Fucanan, 24, has become a dancing icon after his breakout performances as a member of SoReal Cru on MTV’s America’s Best Dance Crew (ABDC). To the packed room of eager fans, though, he was more than that – he represented the American dream for hundreds of Filipino-Americans who attended the Midwest Association of Filipino Americans last weekend. “I really wanted to come up here and figure out what [MAFA] was all about. I honestly had no idea that this existed, but I wanted to come up and help out,” Fucanan said. The professional dancer resides and attends college in Houston, Texas, and recently MC-ed his state’s version of MAFA last month. He spoke highly of the GoodPhil Games annual event that brings literally thousands of Filipino-American students from across the state together in friendly competition that helps bond the community in culture. Fucanan said traveling to MAFA and teaching his original choreography for two workshops was something he’d love to do again. He said he hops around the country every weekend to lead lessons and, although it’s his job, he hasn’t lost his passion for dance. Rumor has it that Fucanan and his brother, also a professional dancer in their current crew The ArchiTEKs, will co-MC MAFA next year. 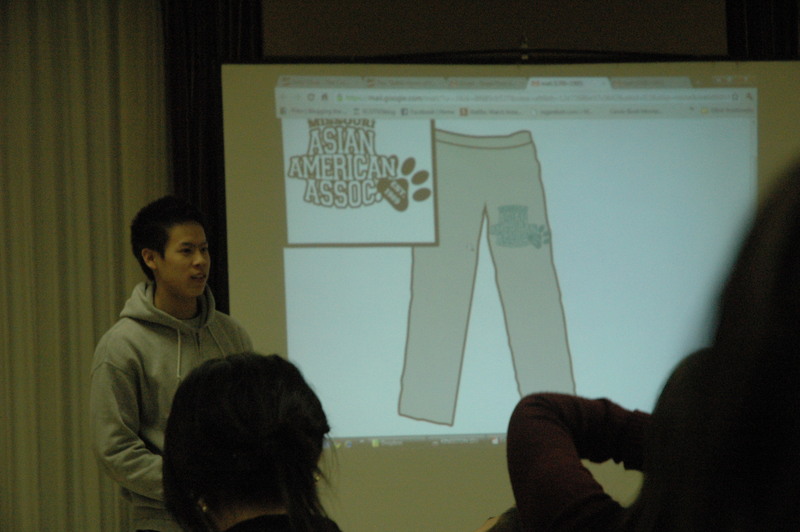 Filipino-American students from across the heart of America convened at Ohio State to network with other campus organizations. 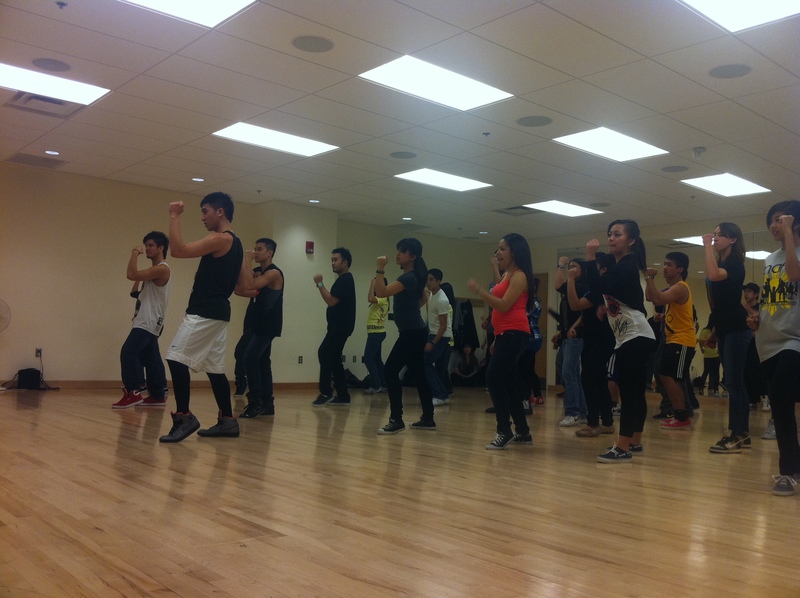 Here, students learned Brian Fucanan's choreography to Chris Brown's "Talk That Sh*t."
AAA, A3, Mizzou’s Asian American Association is a club organized to promote Asian-American awareness and break down stereotypes via social networking among students. Sounds great, right? But how do they do this — exactly. 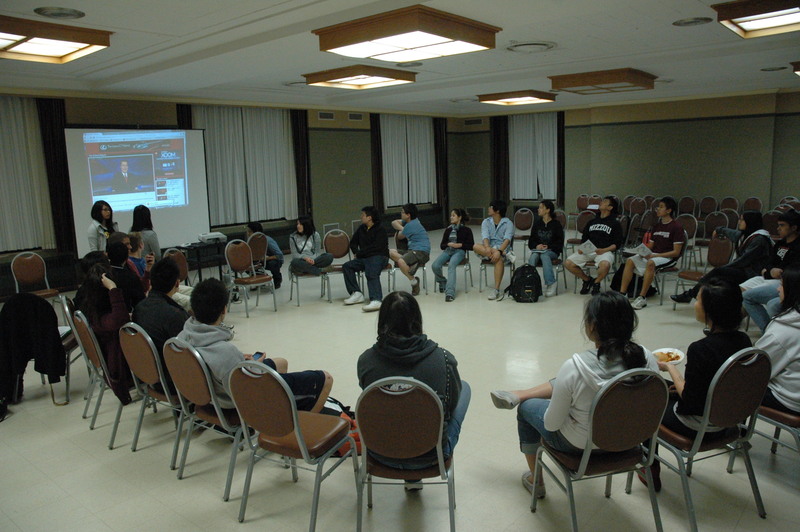 At one of their bimonthly general body meetings this week, students gathered to go over some logistical information over social events they’d been planning for the coming month. The topics weren’t, necessarily, hard-hitting toward their bigger mission: a disco-themed roller skating night, a bowling event — voting on the color for the new AAA sweatpants. But, they told me, an Asian-interest topic is always discussed at the end of every meeting. It’s incorporated. It’s a staple for the gatherings. Why? Because this is just one way they fulfill their mission. They not only plan out-reaching events on campus, but consistently work to break down stereotypes and understand the similarities and differences within the group. Ironically, in an AA-style setup, the room of 20 or more students circled their chairs to create an atmosphere perfect for open-hearted discussion. The Tiger Mom, as defined in different ways by a few students – is the parenting method of one Chinese mother who wrote a book that got the nation talking. Her message, however, also created a stereotype for Asian culture parenting in America. AAA members spent the rest of the meeting (30+ minutes) sharing stories about their experiences growing up with strict rules and punishments from their parents. They laughed, joked around, yet emphathised with each other. Not everyone’s stories matched up. Some parents were ideal; Some were terrifying; Some spanked; Some scolded; Some even had their kids doing handstands in the middle of a room or holding bags of fruit out to their sides for hours. Moral of the story and one overarching connection: Strict Asian parents have their rules and expectations out of their love for their children. 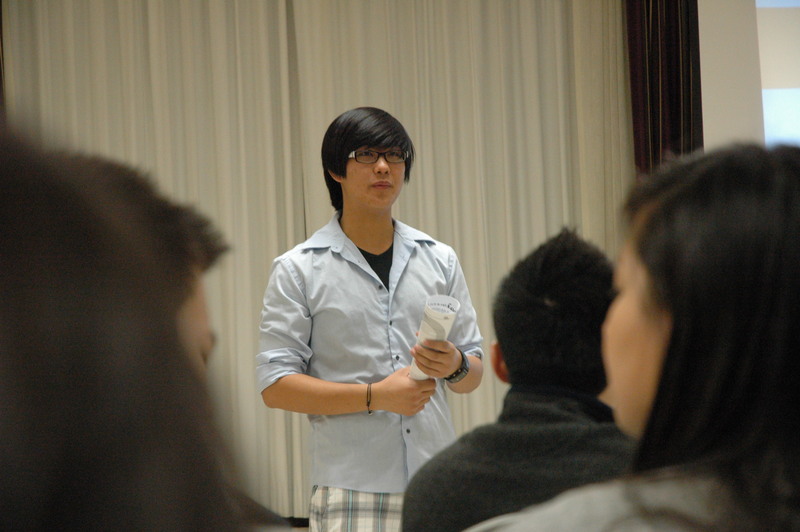 It’s the conclusion the group made and one that speaks volumes for Asian-Americans in general. 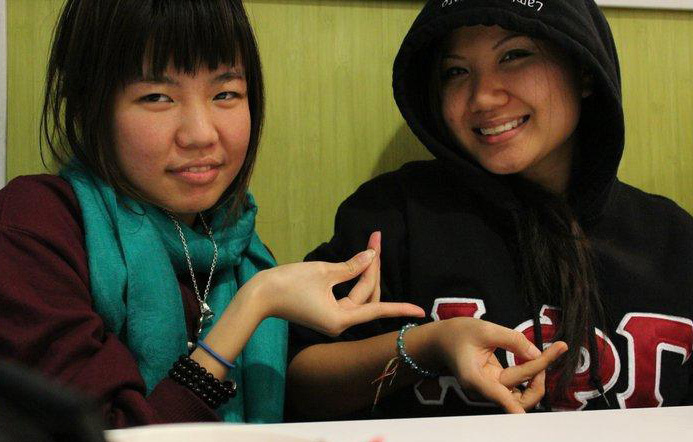 These are not your typical sorority girls. Sure, they joined for similar reasons. They were looking for a sisterhood, for girls who could get along with and had a lot in common. They still want to have a good time and make lasting memories on campus, taking pictures in their greek letters, talking about boys, crying about boys, always confiding in each other. But they’re also sisters in a cause. “As a smaller sorority, people take us for granted, so we get ourselves out there,” Vien said, the current A Phi G president. 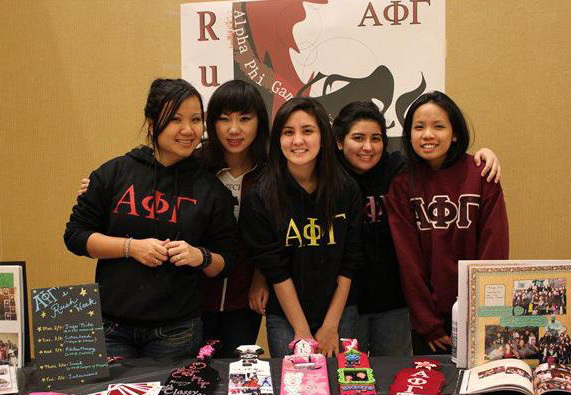 Their events include fundraising for their philanthropy, the National Coalition of Domestic Violence, and participating in the many events put on by fellow minority organizations throughout the school year. Vinita, the New Member Chairman, says creating a voice for domestic abuse victims is part of their job to raise awareness. “Asian women need a stronger voice. As a part of A Phi G, we need to cultivate awareness. Working with the National Coalition of Domestic Violence is just one way we can do that in college. Especially being in a sorority — and being women — we are giving these women a voice,” Vinita said. Altogether, these sisters band together under three stereotypes and the mission to fight against them. In today’s society, they have three strikes against them already: 1) They are Asian or Asian-American 2) They are women 3) They are Greeks. All three, regardless of what excuses are made to defend them, have negative connotations. This is why Vinita says this is what A Phi G stands for: breaking stereotypes and showing that there’s more to Greek-Life. 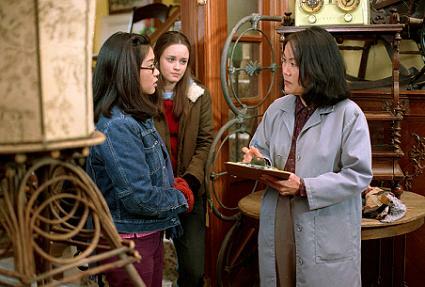 Gilmore Girls characters, from left to right, Lane Kim, Rory Gilmore and Mrs. Kim. The Asian parent: Unemotional, stern, strict and never wanting anything but the best from a child. Take The Gilmore Girls TV sitcom for example. Mrs. Kim was a caring, yet cold mother to her daughter Lane, imposing upon her the highest quality of discipline and appropriate behavior enforced by religion. Lane, however grew up ingeniously hiding her secret love of underground music — under the floorboards of her room — achieving academic successes, but never seemingly reaching the expectations of Mrs. Kim. It’s that parental pressure that, stereotypically, most Asian parents inherently master. They set the bar high and when it seems just within reach, the bar is nudged up another ten feet. Another Wall Street Journal blogger, Ilyon Woo, wrote to break this characterization. “An Asian Father’s Gift: Permission to Fail” broke the “Tiger Mother” stereotype with Woo’s personal account of discovering success — and failure — with the life lessons of her parents. She explained both her mom and dad were extremely successful in all senses of the term, wealth, occupation and family, but they raised their daughter to understand that striving for the best and coming up short is not the end of the world. This realization helped her to stop obsessing on perfectionism, allowing her to find success with unstrained care. Sure, this is just one account, but it shows that the Tiger Mother cannot be generalized. These blogs and insight lay out that, like any stereotypes, characteristics are far too often generalized for the Asian, Asian-American cultures. Each person and family is infinitely different from the next. But, when do you draw the line when making generalizations? Is the Tiger Mother OK to accept due to Asian culture? Will Asian and Asian-American college applicants continue to be discriminated? What do you say? Check out BarbaraManingat.wordpress.com for Barbara's best multimedia work.